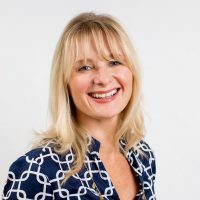 Frances Dore heads up all sales, marketing, events and press for Caprice Holdings and is a Board Member. Her energy, enthusiasm and optimism motivate her and her team to excel above and beyond their goals. Her expert approach ensures that each restaurant benefits from her unique skills while successfully maintaining the valuable reputation of each individual brand. Much of Frances’s career has been in hospitality, spending the lion’s share working for groups such as the Marriott Hotel Group and D&D (formerly The Conran Group), with a brief departure into private aviation with NetJets Europe. A private consultancy contract with Jumeirah also saw her launch their new Park Lane property.